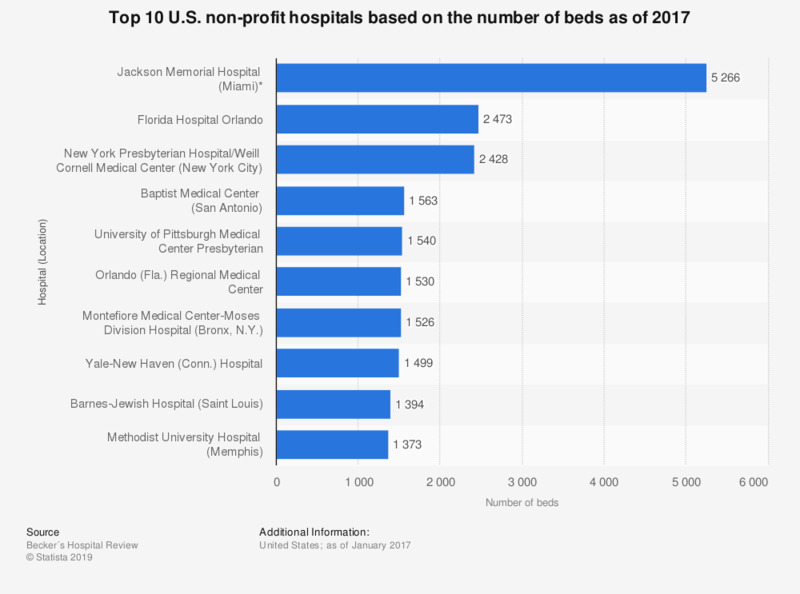 This statistic depicts a ranking of the top 10 U.S. non-profit hospitals based on the number of beds as of January 2017. At this point, the Florida Hospital Orlando was ranked second among such hospitals in the United States, with a total of 2,473 beds. In some cases, figures may include bed counts from affiliated facilities that share a provider number with the main hospital. * Data reported for this facility includes information for the Jackson Rehabilitation Hospital, Jackson South Community Hospital, Jackson North Medical Center and Holtz Children's Hospital.